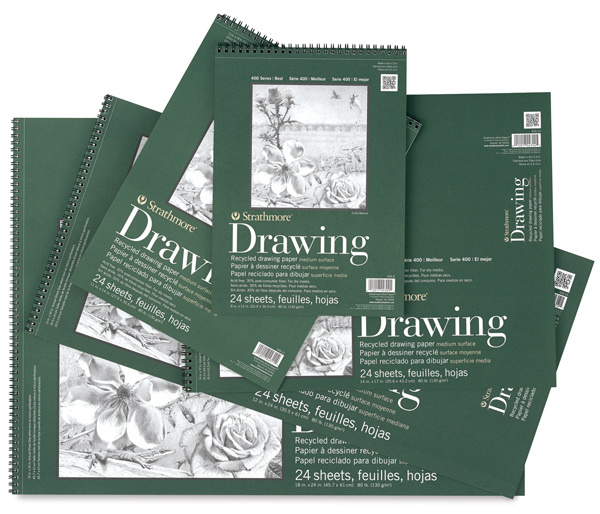 A general purpose sketch paper for classroom experimentation or perfecting techniques with pen, pencil, and other mediums. Paper is 60 lb (89 gsm). The 3½" × 5" is spiral-bound on the short side, while all other pads are spiral-bound on the long side.